Silverstone BSB – how close? THIS is the moment Shane Byrne beat Alex Lowes by just 0.012 seconds in race two of British Superbikes yesterday. The pair will head into the final round at Brands Hatch separated by just one point at the top of the standings. Byrne and Lowed dominated the weekend's BSB round at Silverstone, each winning one race and finishing second in the other. 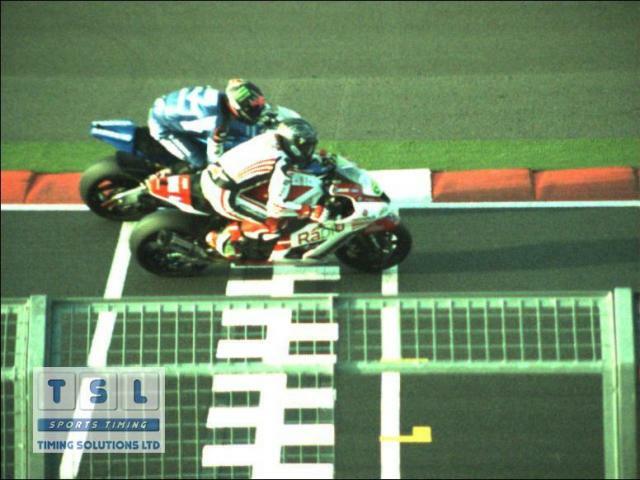 Race two’s photo finish win for Kawasaki rider Byrne came after Honda-mounted Lowes took victory in race one by 0.094 seconds to tie the series. This result sets up a stunning climax at Brands Hatch on October 20.